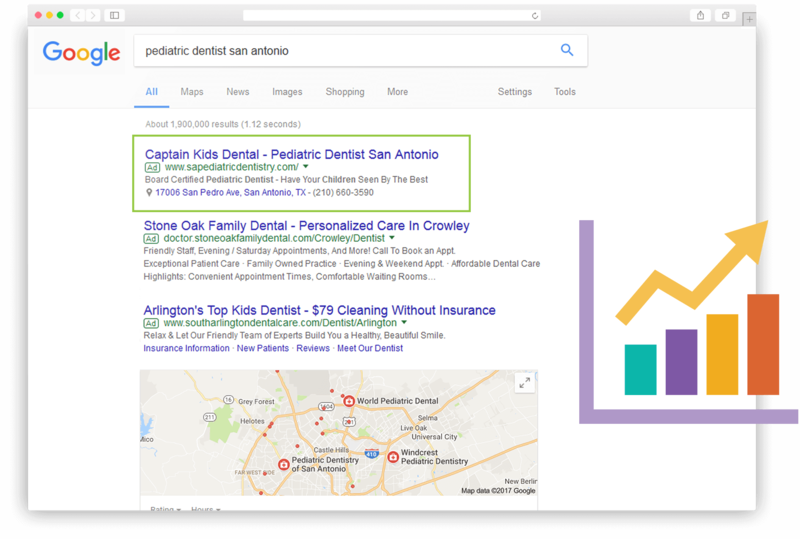 Stay at the top of search engine results with SEO services from Smile Savvy. Smile Savvy’s team of experts have been researching and testing the factors and algorithms that search engines use to rank websites since 2000. 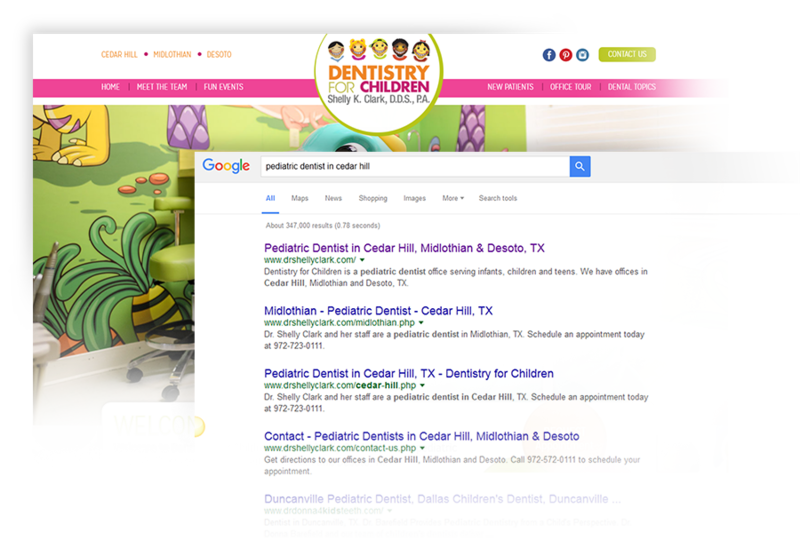 As specialists in pediatric dental websites, we know what is needed to achieve the best rankings possible. As a result, many of our sites are found at the top of all major search engines. In our designs and recommendations, we strive to strike a balance between pages that perform well in search engines and are user-friendly for your patients. 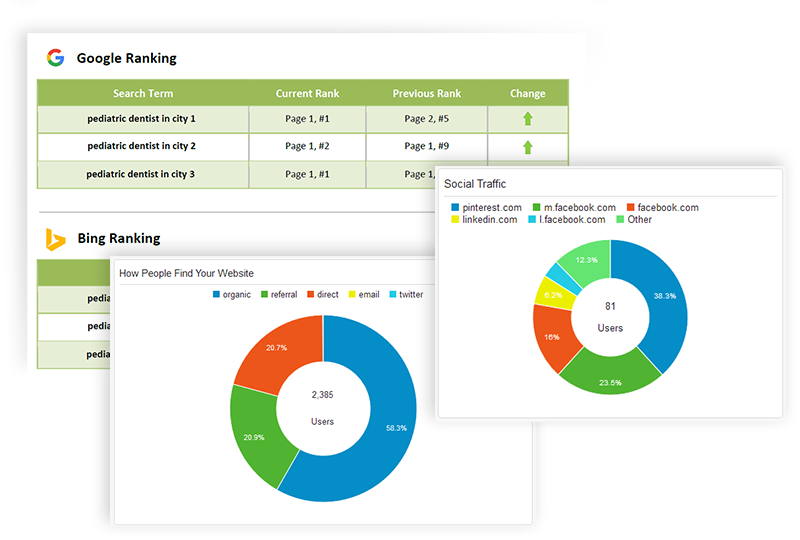 Smile Savvy also incorporates Google Analytics – a premier website tracking tool – into the setup of all new websites to measure and report your website’s visibility. All of this quality optimization comes included with the setup of a Website Package, giving you the tools you need to measure your website’s visibility. Search engine algorithms constantly change and the Internet adds over 140,000 websites every day, so it’s no surprise that website SEO requires ongoing review and adjustment. Smile Savvy’s Ongoing Search Engine Optimization service ensures that your website performance is examined each quarter, and SEO adjustments are made as needed. Smile Savvy’s SEO service ensures that your website will reach optimal search results – even in the most competitive markets. We take it a step further by providing you with customized Google Analytics reports every 30 days, which lets you focus on your patients while we make sure that you’re always achieving high rankings on search engines that matter. Note: Ongoing SEO Maintenance is in addition to your monthly website hosting. Ongoing SEO is great for most practices, but certain factors limit your ability to rank well in competitive markets. Crowded cities such as New York City or Los Angeles can make it challenging to get to the top of search results quickly, and it can take some time before organic SEO methods make their mark. SEM, also known as Pay Per Click (PPC) advertising, may be the next best step. With SEM, we use Google AdWords and other online advertising services to target the areas that your practice needs. We manage the campaign, and you pick the budget. Together, we outrank the competition. Every Smile Savvy website comes with organic search engine optimization. If you need additional help, we have advanced services to provide the results you are looking for.